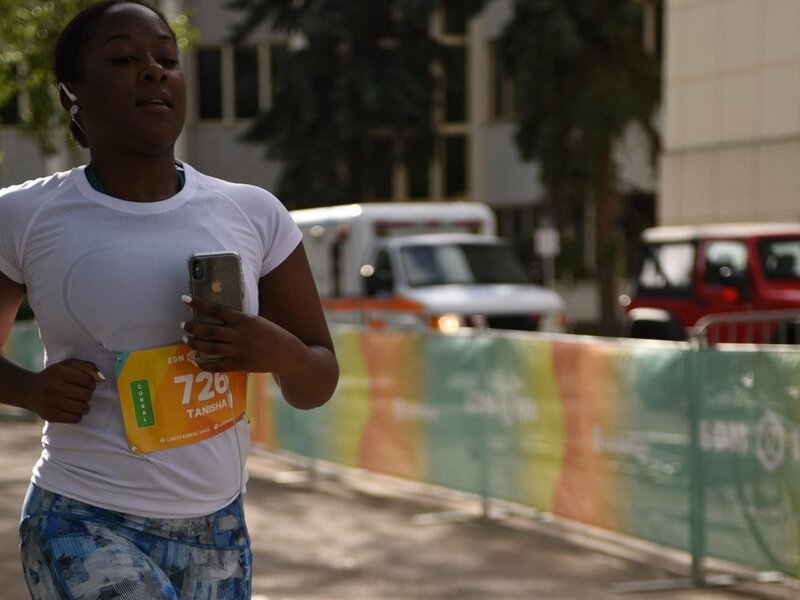 I know it’s only September but it’s safe to say participating in the Edmonton 10km run is definitely the highlight of my 2018. There’s so much I could say about this experience but overall I am beyond proud of myself for stepping complete outside, around the corner, and down the street from my comfort zone. 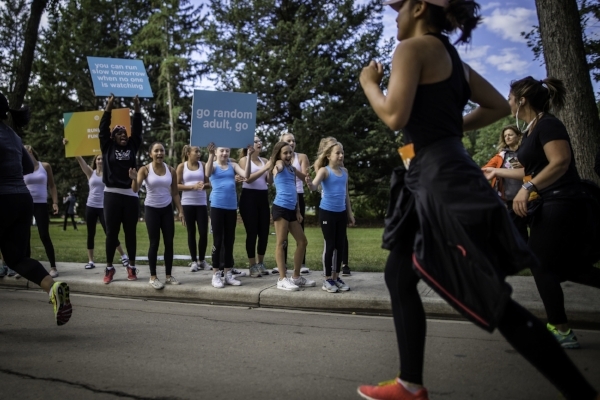 Unbeknownst to me at the time, accepting the invitation for the Edmonton 10k was the step in the right direction to solving how overwhelmed I had been feeling. I’ll start by admitting that I do not run. I am not a runner. Running is not my first choice for exercising or second or third for that matter. But for some reason saying yes was my initial reaction, so I went with it. Growing up my brother use to tell me that I naturally have good intuition. Now, when I reflect back on the negative situations I have experienced, all of these moments were a result of me ignoring my intuition. Since recognizing this I try my best to go with my initial response. Now you’re probably wondering about the physically training I did to prepare. And I am embarrassed to share that my physically training was very mediocre. I started 8 weeks out and ran with the local run group YYC Run Crew which is a group of runners (of all level) who meet up to run multiple times a week. My first run was the worst. I felt intimidated and barely survived doing the 3 km walk and run. Afterwards, I cried my eyes out asking ‘What did I get myself into’. In total, I probably ran 3 or 4 times with them. I did take it upon myself to go for a few 1km morning runs around my neighborhood. I also started a 30 day meal program in July which consisted of 2 meal replacement shakes a day for breakfast and dinner, and a 600 cal meal for lunch. As you can see the only thing consistent about my preparation was the 30 day meal plan. Everyone is different but I will say that the quote ‘Mind over Matter’ is real. God and keeping my mind in a positive space got me through this run. Early in my “training” I realized that listening to podcast gets me in my zone. I know that’s so random but trust me it worked. Music didn’t help because the type of music I want to listen t is dependent on my mood in that moment, which can change. You don’t want to be fumbling with your ipod trying to skip songs while you’re running. So for this particular day, I listened to the Black Girl Podcast live show. The whole 10 k I was laughing , rolling my eyes, mhming and just running. My mind was being stimulated and free of distractions while listening to the positive yet entertaining comradery among talented, hardworking and intelligent black women. This experience really showed me how resilient I am. I can do anything if I put my mind to. Sometimes I get too caught up in the preparation of something that the execution never happens because “it’s not the right time” or “i’m not ready”. When really I’m just scared and last time I checked I’m not a punk so I can’t let the fear of failure hold me hostage from growing. Have you ever ran or walked a 5k, 10k, or marathon? Share below how you got yourself ready.